Hypergiant Sensory Sciences launched today as an independent company, but with connections to Hypergiant Industries. Founders Dave Copps and Chris Rohde say they intend to teach machines to sense the world more like we do. 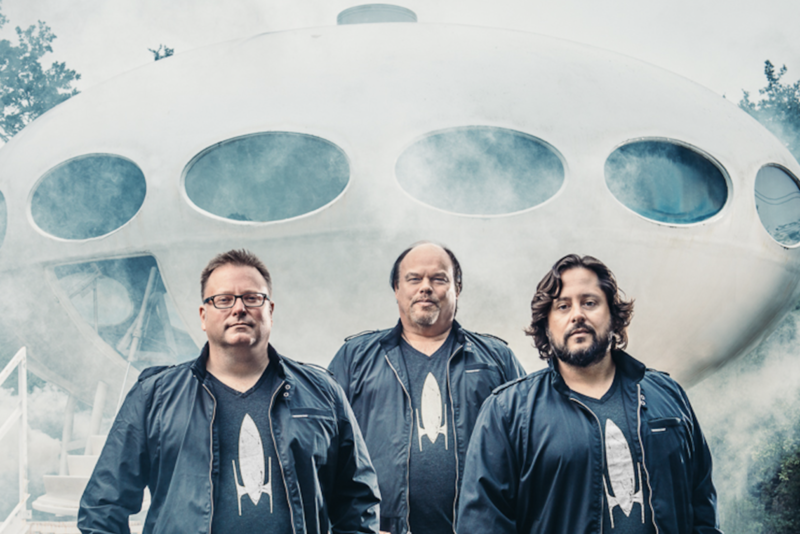 The independent company has organic connections to other divisions within Hypergiant Industries, a business that has plenty of experience in doing things that haven’t been done before, Hypergiant co-founder and CEO Ben Lamm told Dallas Innovates. 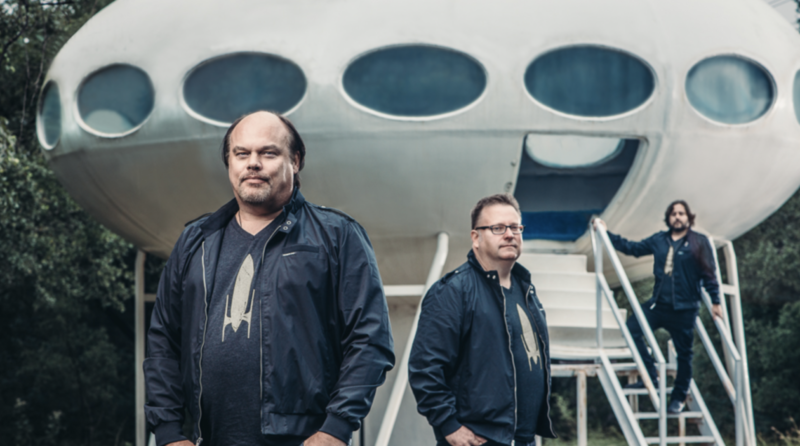 Hypergiant Sensory Sciences was founded by its CEO, Dave Copps, CEO, and president, Chris Rohde, who both came from Brainspace after its $2.8 billion exit to Cyxtera Corp. in 2017. The exit was rounded out by an engineering team led by Ross Bates, and lead scientist and inventor David Hagar. The Hypergiant Sensory Sciences technology is based around leveraging the explosive growth in cameras and sensors, and the sheer number of locations being “sensed” in some fashion via artificial intelligence. Through a combination of sensor networks, deep learning, and modeling software, the end result is AI-powered digital copies of real-world scenes. The core tech is called spatial computing, with deep learning techniques as key to its approach. The tech uses convolution neural networks (CNNs) to automate learning from time series data, recurrent neural networks (RNNs) to refine predictions over time, and machine learning to differentiate between normal and abnormal behavior. The company puts AI-powered analysis into the massive amount of video content being collected—like by security cameras—that otherwise would go largely unwatched. At-launch, the focus for the company is on critical infrastructure, with Copps and Rohde providing examples such as military bases, oil wells, and hospitals. “Our platform will provide organizations that have a critical need to perceive and understand their environments with the ability of doing that at scale,” the founding team said. While the company didn’t announce any clients at launch, Copps and Rohde said they’re currently engaging in pilot programs. The team did note recent reports that show we’ll be living in a trillion-sensor economy soon, which is creating an urgent need for a breakthrough in augmenting human perception—a breakthrough that Hypergiant Sensory Sciences is working to deliver. The structure of Hypergiant Sensory Sciences is interesting, as it’s an independent organization within Hypergiant Industries. Asked about the future of AI, the founders said even thinking about two to five years down the road “sounds like a lifetime from here”—but, both Hypergiant Industries — which launched out of stealth in February — and Hypergiant Sensory Sciences are moving quickly. The current plan? Experimenting with new code every day and using the current pilot programs for feedback and acceleration into the next iteration, they said. “We’re always trying to solve problems for our commercial customers and governments—the more impossible, the better—and in this case we’re now able to help them know what’s going on in their environments in a way that is more perceptive and intelligent than ever before,” Lamm said. “We’re especially excited about Hypergiant Sensory Sciences because its extending the science of spatial computing and introducing a new kind of technology to the larger Hypergiant family. Sensory Sciences was initially created by Rohde’s Dallas-based BamAI. Together, Copps and Rhode co-founded Brainspace—an Addison startup that creates software to search big data by concepts instead of keywords—back in 2007. After serving as CEO for over a decade, Copps stepped down earlier this year. The startup will have its own board of directors and capital. Lamm helped found Hypergiant Sensory Sciences and will sit on the board of directors. Its Series A funding round is being led by Austin’s Align Capital and includes Capital Factory, Dallas’ GPG Ventures, and others. From BoodsKapper to Ulterra Drilling and CyrusOne to Thursby Software Systems, here are some of the deals made by investors and companies with ties to North Texas. Patents were granted for USAA's water detection assembly, Texas Instruments' brownout response, Sensogram's wearable respiration rate monitoring system, Varidesk's design patent, and YSEOP's techniques for automatic generation of natural language text. Patents were granted for Verizon's techniques for providing content recommendations, Toyota’s mist-generating apparatus, Kodiak Network’s VoIP denial-of-service protection mechanisms, and an unassigned wildfire alert system.